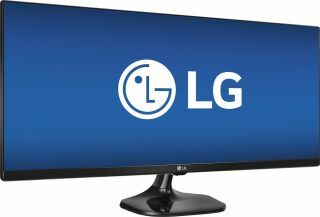 If you've been wanting to make the jump into ultrawide display territory, a growing trend in recent years, Best Buy has a good deal on an ultrawide 29-inch panel from LG (29UM58). It's currently marked down to $200. Best Buy lists a retail price of $350, though this monitor typically goes for around $300 or a little less (Amazon has it listed for $270). Still, the sale price has other vendors beat. The deal is even better if you're willing to buy an open box model, which Best Buy has listed at $177. Open box models on this one are listed as being in "Excellent" condition, meaning the "product looks brand new and includes all original parts and accessories." Either way, the 29UM58 sports an in-plane switching (IPS) panel with a 2560x1080 resolution (2.37:1 aspect ratio, listed as 29:1) at 75Hz. It also has a 5ms response time, 250 nits brightness, and 178 degrees viewing angles (horizontal and vertical). Connectivity options include two HDMI inputs and a 3.5mm audio jack. It's a bit sparse in this area, as it does not have any DisplayPort connectors or a built-in USB hub. It also lacks built-in speakers, though we've yet to be impressed by a monitor's audio anyway.